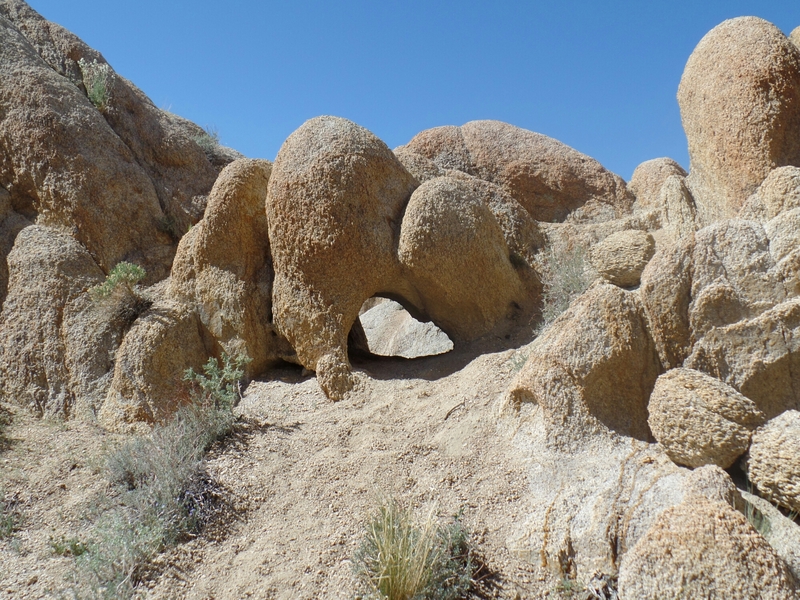 Hidden Valley Nature Loop is a fun place and usually my first stop when visiting Joshua Tree National Park. 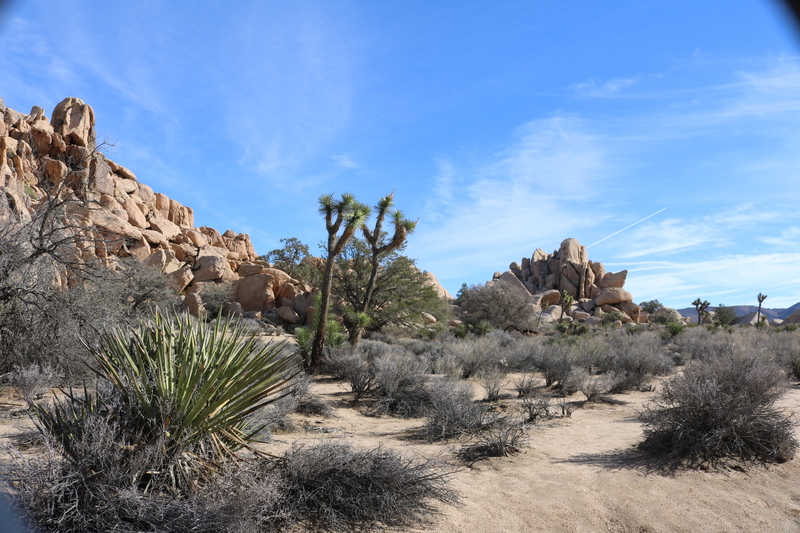 The valley loop is home to several of the native plants that are home to park. 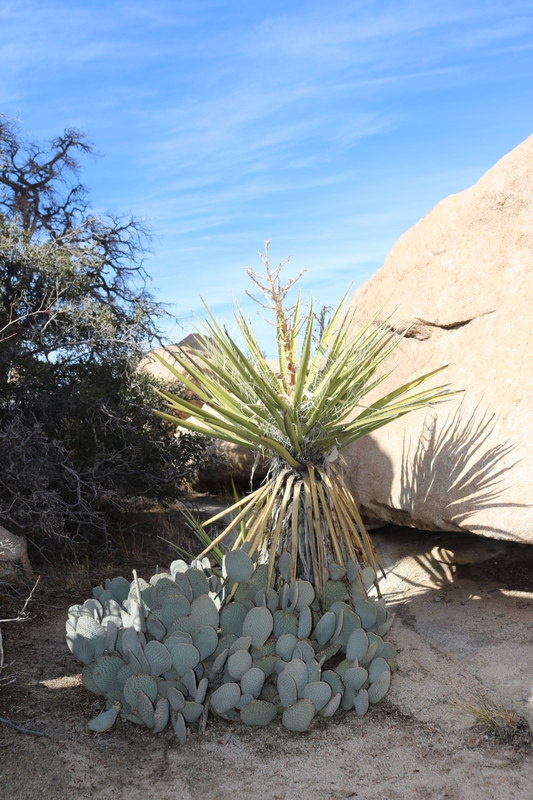 Piñon Pine, Yucca, Beaver Tail Cactus and of course, Joshua Trees can be found along the trail. The loop is just over a mile long but you can spend the whole day here scrambling around and exploring side trails. The valley loop is also popular with climbers. 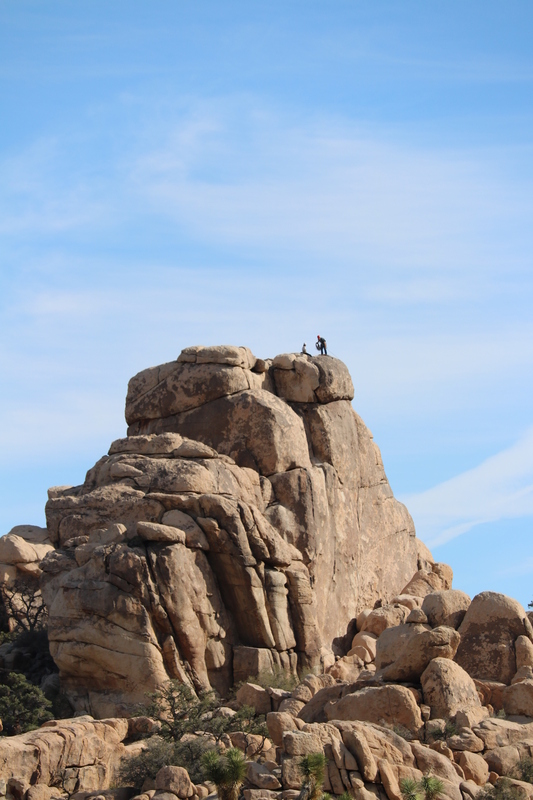 While on your hike take a moment to stop and scan the boulders you’ll most definitely spot someone taking in the views. 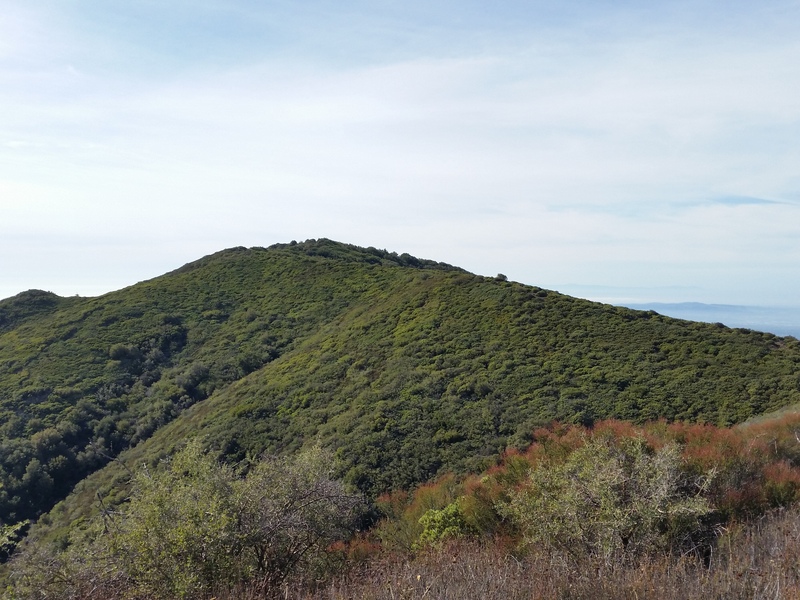 San Mateo Peak is located in the San Mateo Canyon Wilderness of the Cleveland National Forest, in the Santa Ana Mountains. 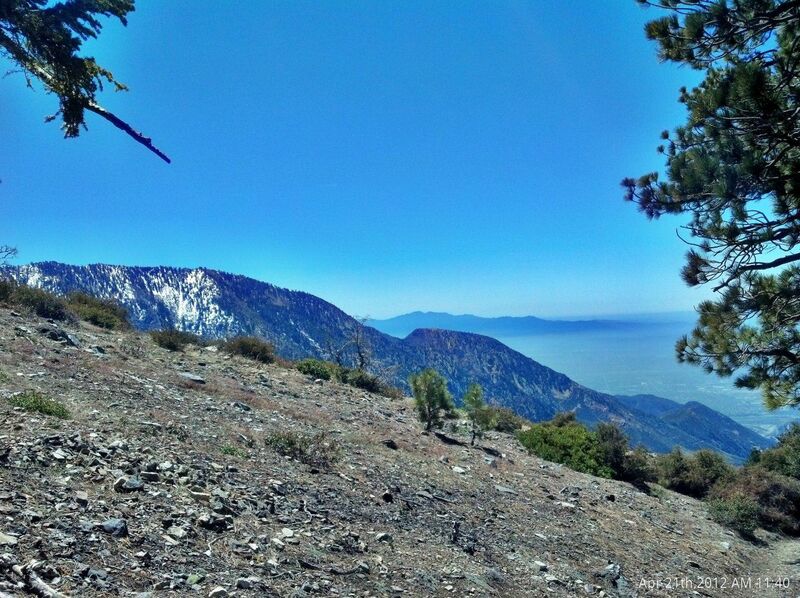 At 3,591 ft it is the highest point in the SMC Wilderness. Views from the peak to the east are amazing. 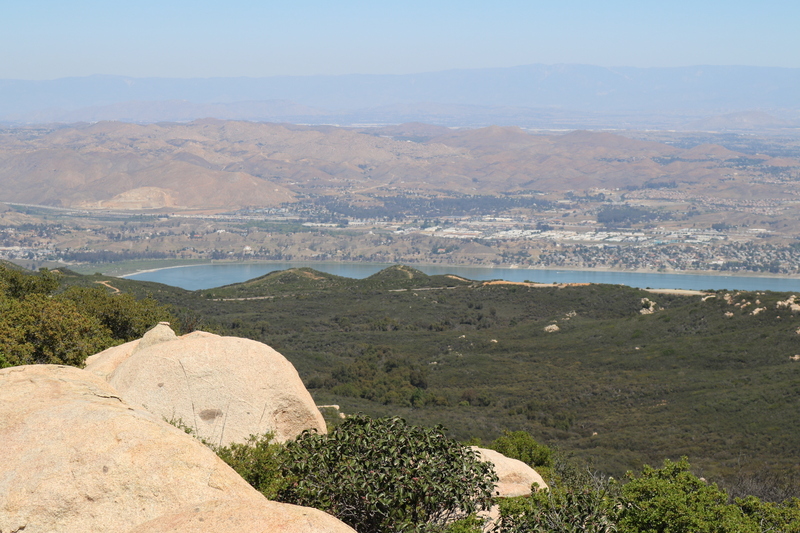 Lake Elsinore is pictured here. 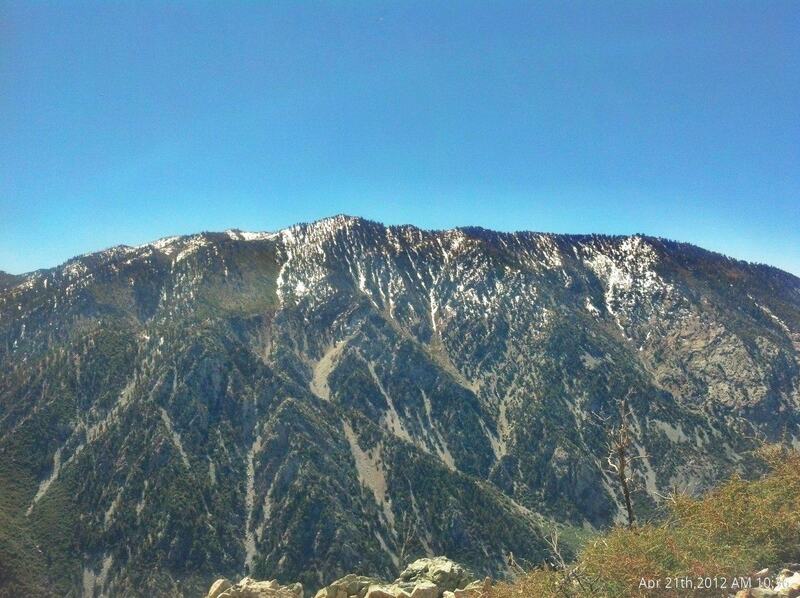 Also visible are the San Gabriel, San Bernardino and San Jacinto Mountains. Take the trail down and make a left at the first junction, about a 1/4 mile in. 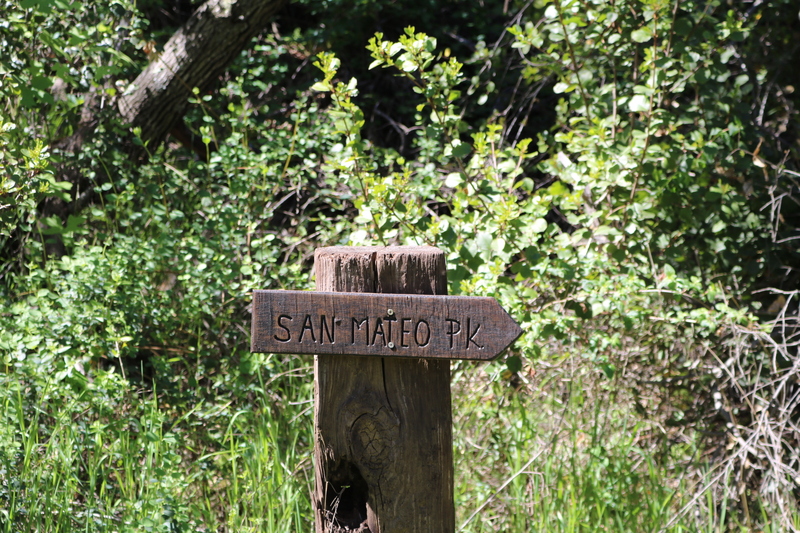 Follow this trail and keep right at the second junction until you reach a cairn and sign that reads San Mateo Peak. Make a right here. From here the trail climbs steeply for a good 1/2 miles. It eventually levels off again but still has some steep points. It’s about 2.3 miles to the summit from the trailhead. 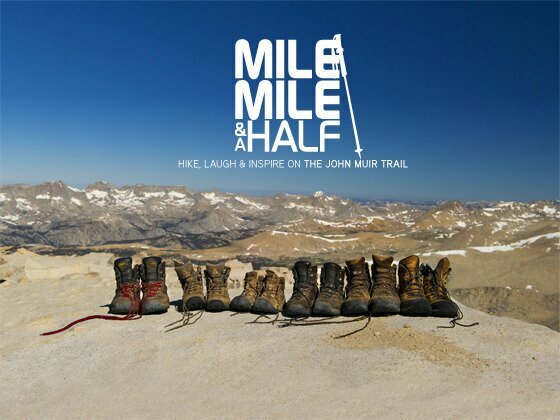 Trail starts off easy for the first mile then steeply climbs of the east face of the mountain. 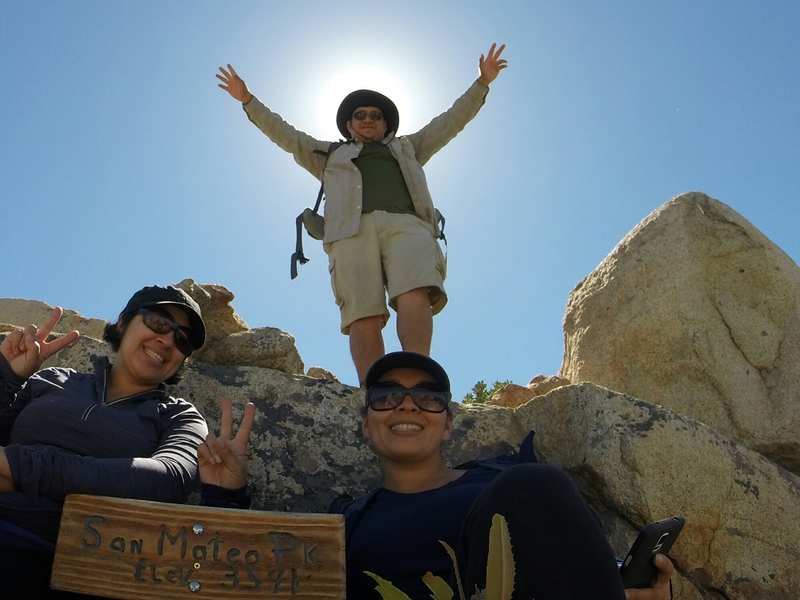 Thank you to Maria and Angie for joining me on this trek. 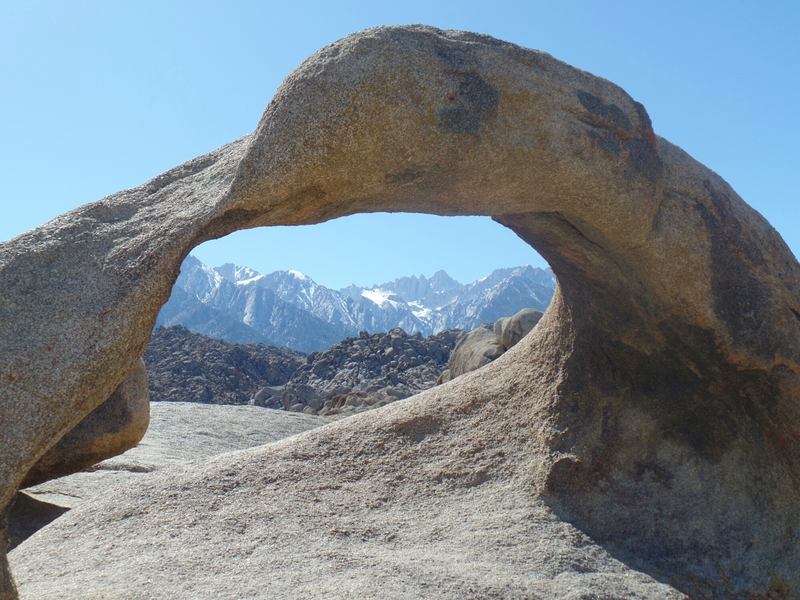 Mobius Arch is one of many natural arches in the Alabama Hills. It is the most popular though and gets many visitors on a daily basis. 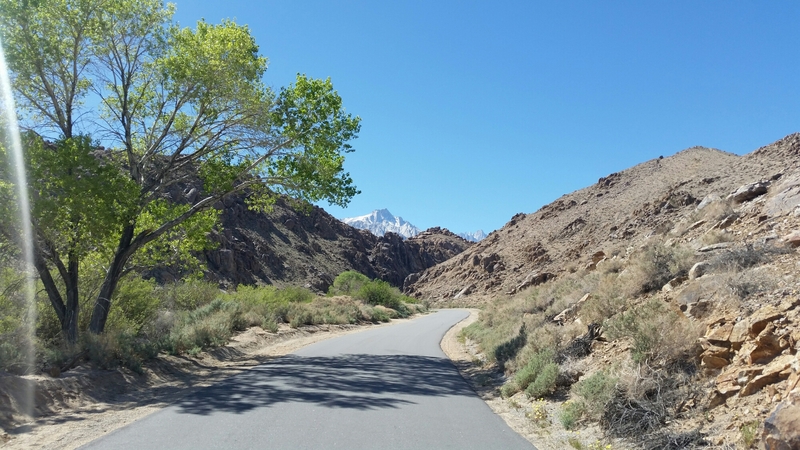 The drive up Whitney Portal Road is a beautiful one. Drive slow and enjoy the views. After turning down movie road you drive down a couple miles and reach the Mobius Arch Trailhead. The area is home to 100’s of natural arches so keep your eyes open and you might spot a few. Mobius Arch is about halfway up the trail. Its a loop hike so start in either direction and you will run into it. Actually going counter clockwise will probably get you there a bit sooner. Here we have Mt. 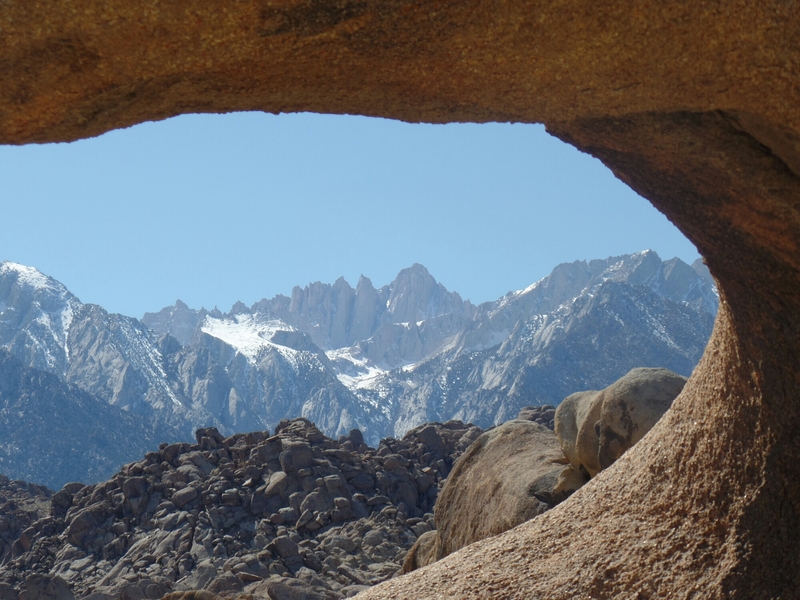 Whitney ( 14,508 ft), the highest point in the lower 48, framed by the Mobius arch. 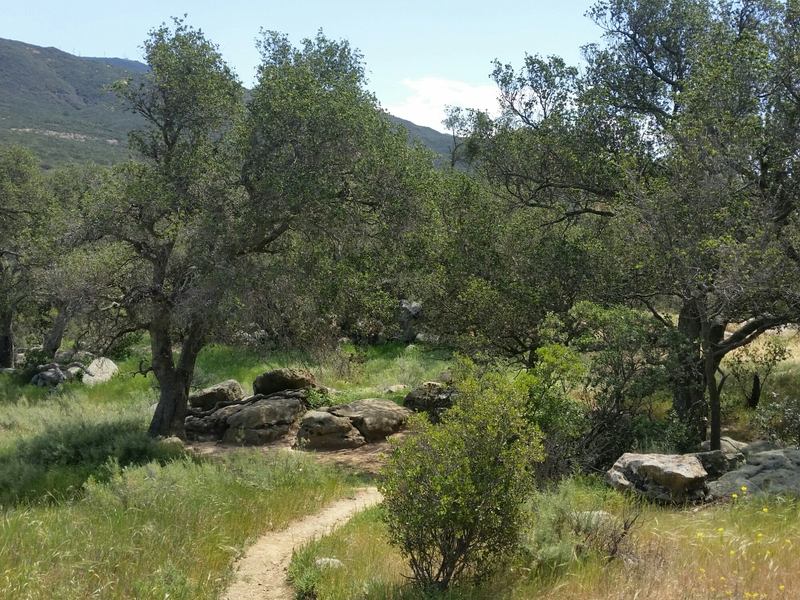 Black Star Canyon Indian village is located a little more than 5 miles from the trailhead on Black Star Canyon Rd. The trail starts off moderate for the first 2 miles as you make your way up the canyon. 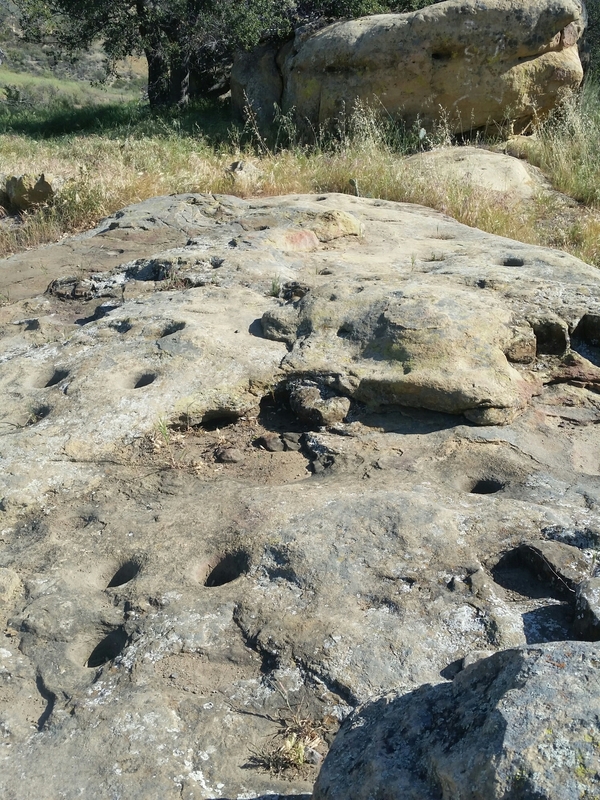 The last 3+ miles up to the Indian site are the strenuous part. 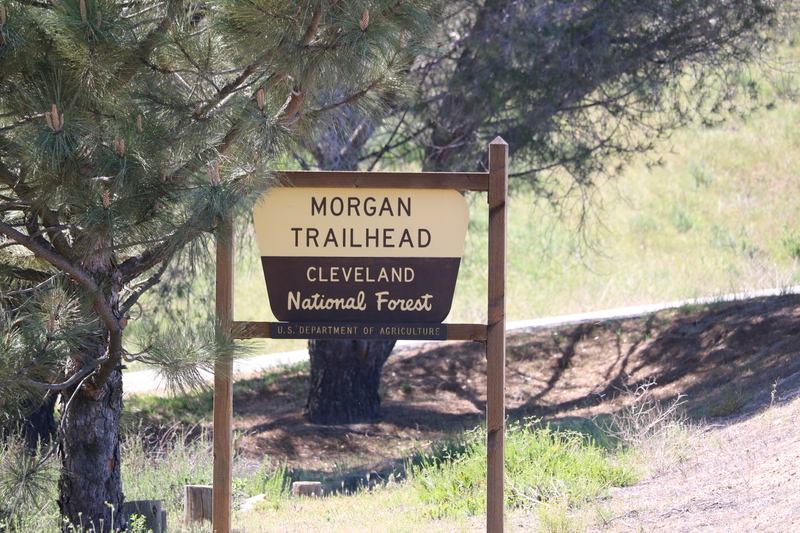 The trail climbs up the canyon walls as it takes you into the Cleveland National Forest. The site is easy to miss since it’s not marked. Just look for the grove of Oak Trees a little after the 5 mile mark. It is on the right hand side. 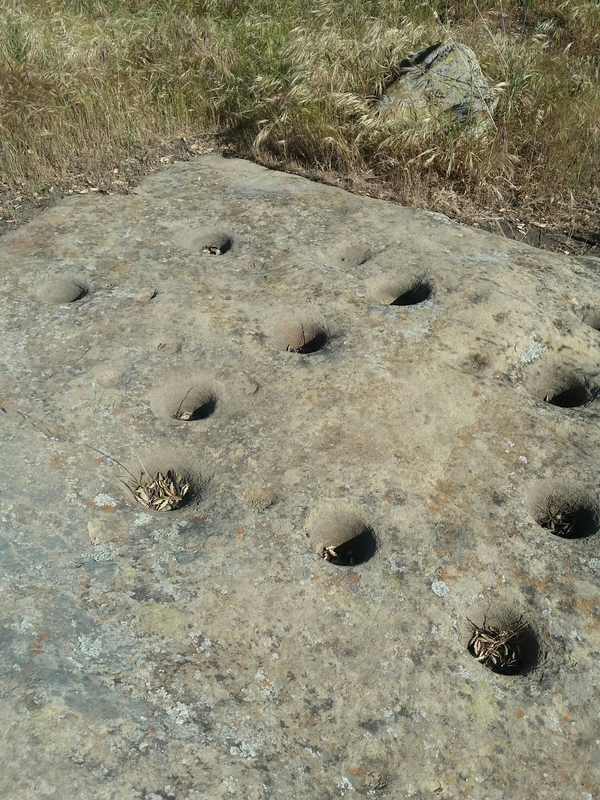 The canyon is full of history! Including the story about the Indian massacre. You can read about is on the Wikipedia page. 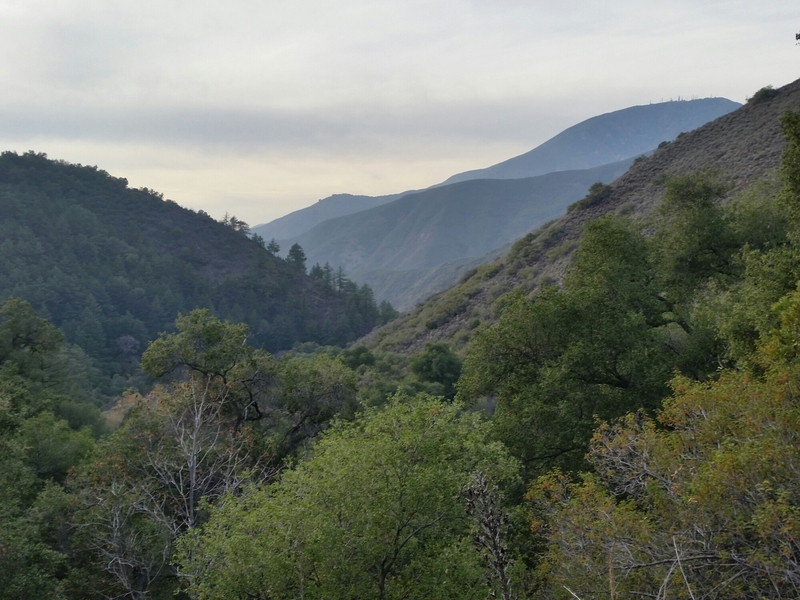 ANGELES NATIONAL FOREST (KABC) — A man has died and two others suffered minor injuries after a diving accident at Hermit Falls in Angeles National Forest Wednesday. Authorities received a call about a diving accident at about 8:45 a.m. Jesse Yuth, 18, of Signal Hill was declared dead at the scene. Two other victims were airlifted to a local hospital for hypothermia. Detectives say Yuth jumped 50 feet from the top of the fall into the pond. Two teens, who were with the adult, jumped in the pond in an attempt to rescue him. 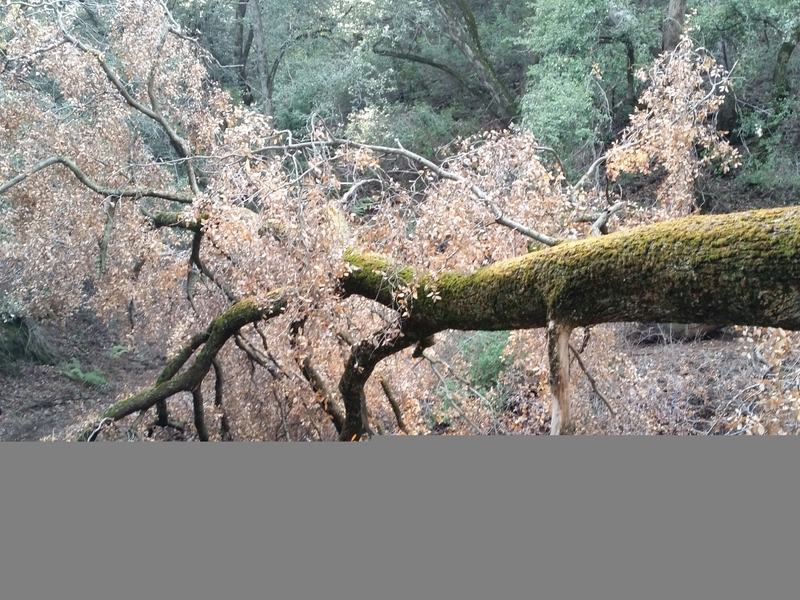 Frequent visitors to the area said that while Hermit Falls is a popular place to hike to, it’s also very dangerous. The Los Angeles County Sheriff’s Department is investigating the incident. 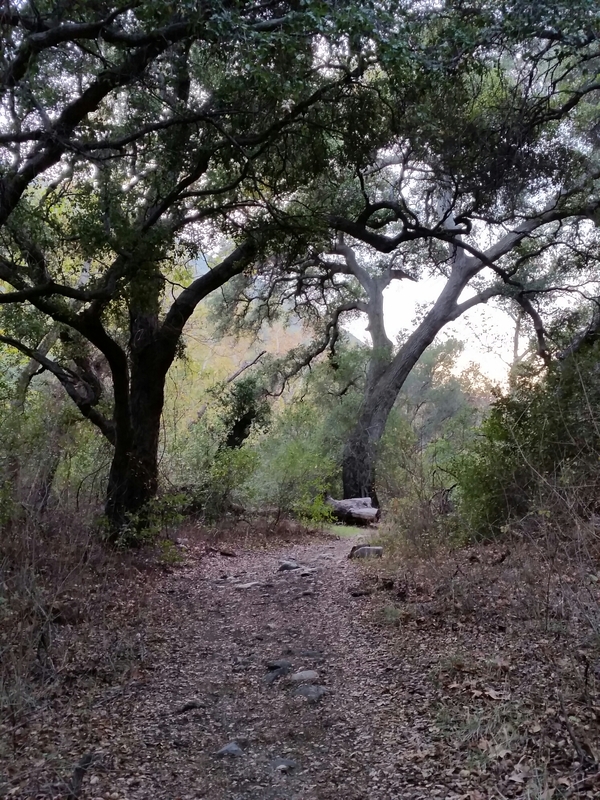 This is a 13 mile hike that starts in beautiful Trabuco Canyon. 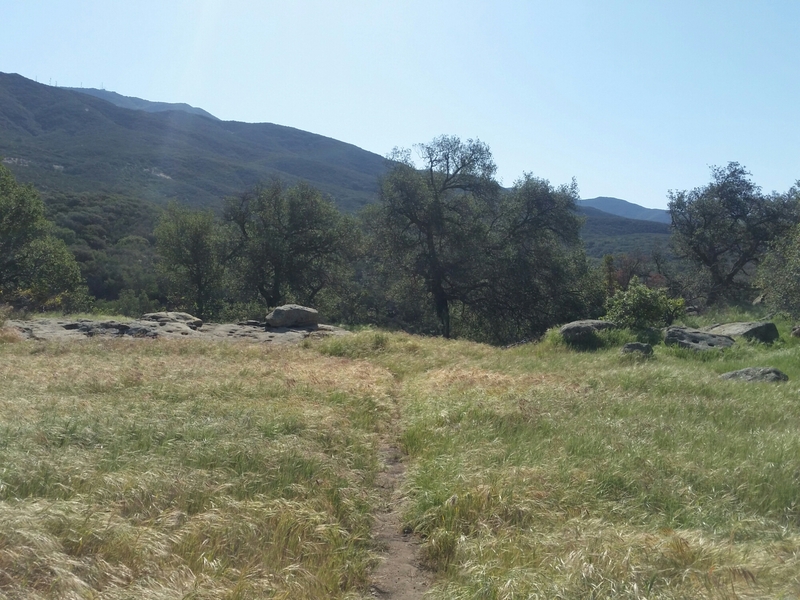 The trailhead for this hike is located at the end of Trabuco Creek Rd. This is a bumpy ride on an unmaintained dirt road. So a 4×4 or a high clearance vehicle is recommended. 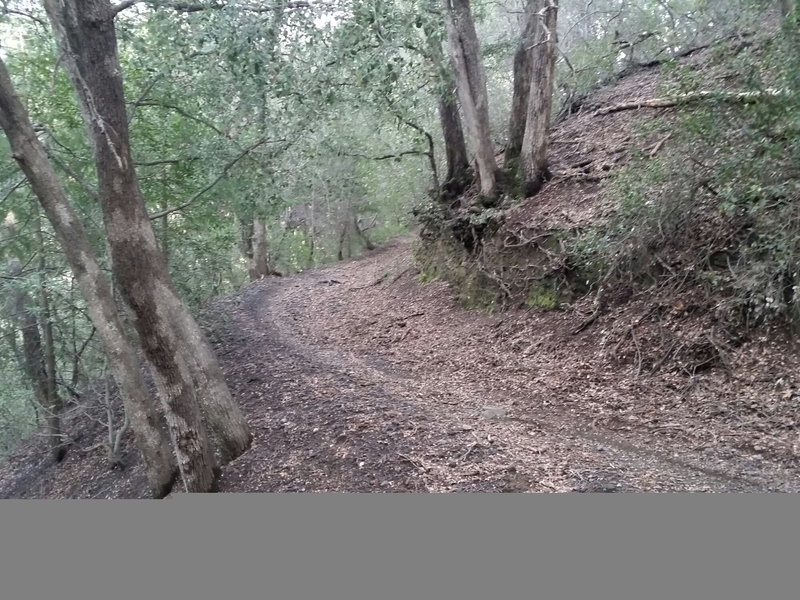 The first 2 miles on the West Horsethief Trail are mostly shaded and follow the creek. 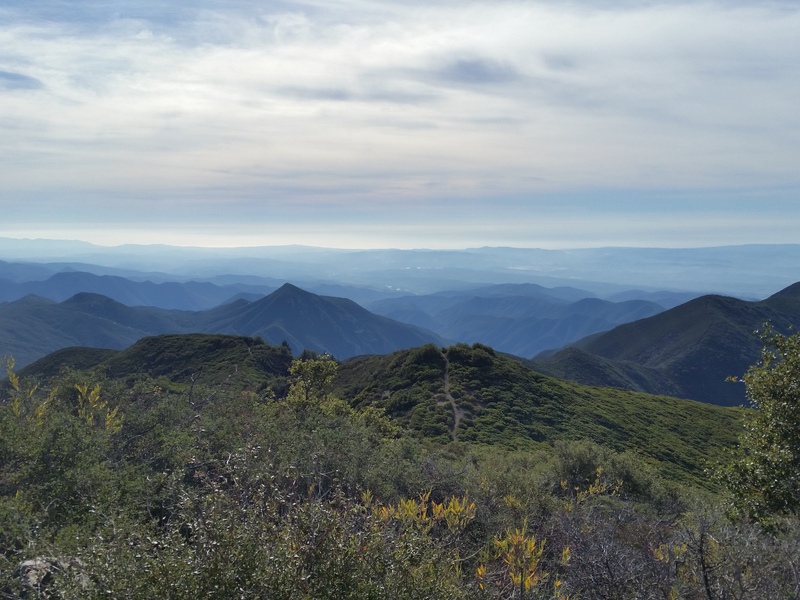 After the first 2 miles you start to climb up the walls of Trabuco Canyon and the views begin to open up. This steep section is the toughest part of the hike. After 2 miles you reach the Main Divide Rd. The Main Divide Rd. 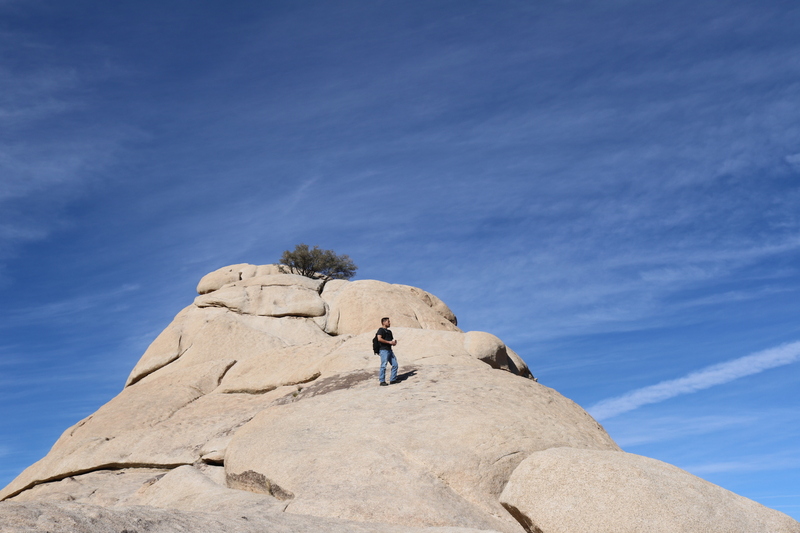 offers some great views into Riverside County. 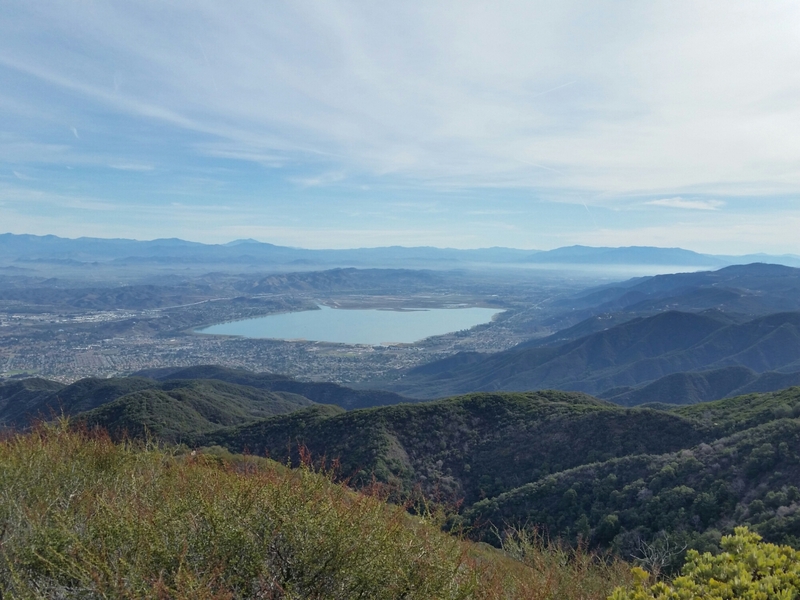 Lake Elsinore is pictured above also visible from the road are San Jacinto and the San Bernardino Mountains. After 3 miles on the Rd you reach the Los Pinos Trail. This ridge line is one of my favorites in the range. The views from the ridge are amazing! 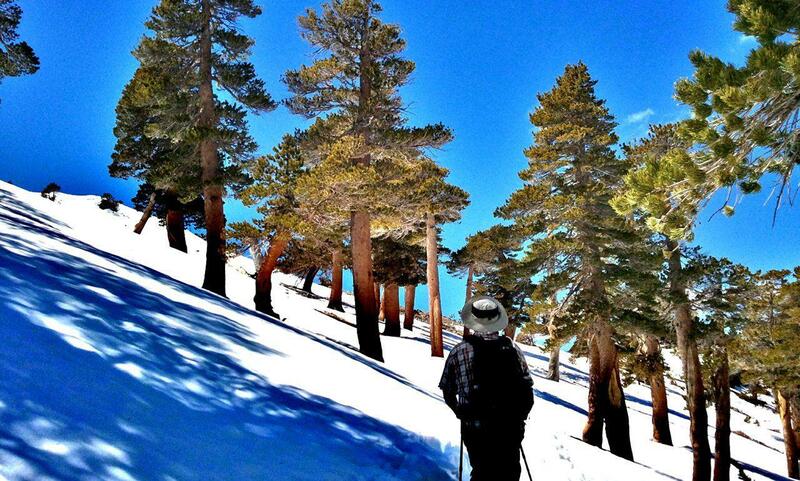 Once on the peak, enjoy the marvelous views an retrace your steps. 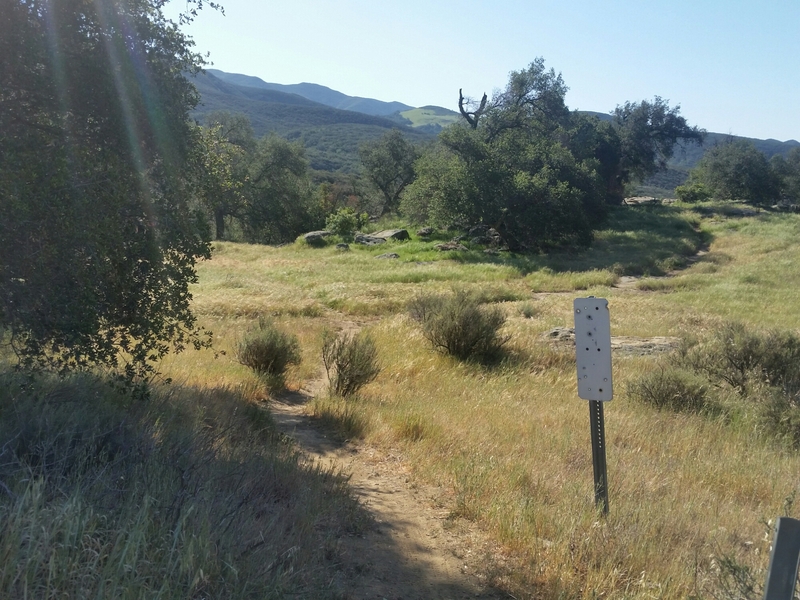 Go back to the main divide/los pinos junction and make a left to take the Trabuco Canyon trail. This shady downhill trail is my favorite! It’s a bit rocky but the views are so worth it! 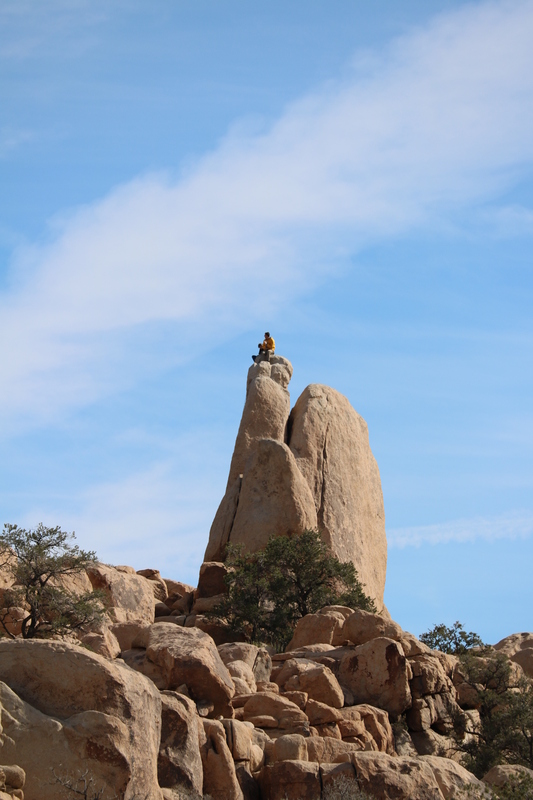 This Trai will take you back to West Horsethief trail. Then return the way you came. This lollipop loop is one of the best in So Cal! 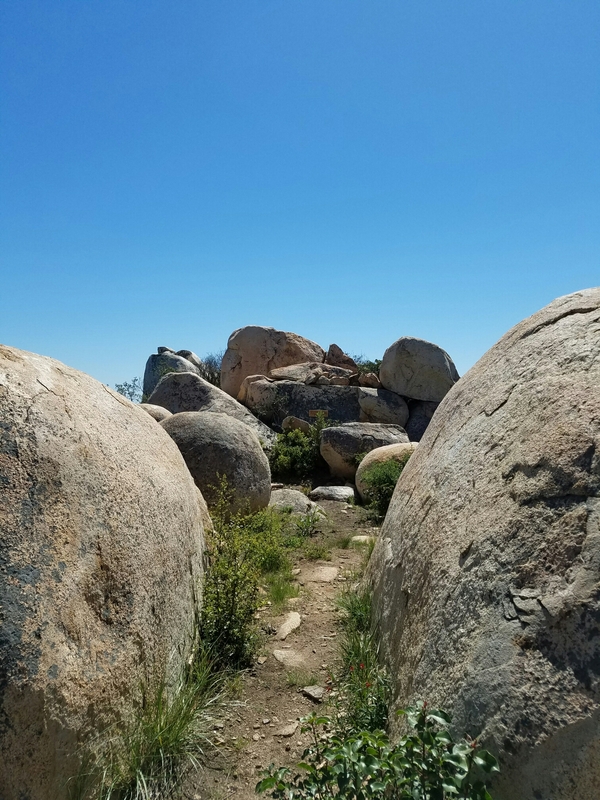 West Horsethief to Main Divide, Main Divide to Los Pinos Trail, Los Pinos back down to Main Divide/Trabuco Canyon/ Los Pinos trail Junction, Take Trabuco Canyon trail back to West Horsethief and back to parking lot. ● 4th highest peak in the range. Follow me on Instagram for more outdoor photos and info on hikes. Trying to get enough people signed up to get this awesome movie brought to OC for us to enjoy. 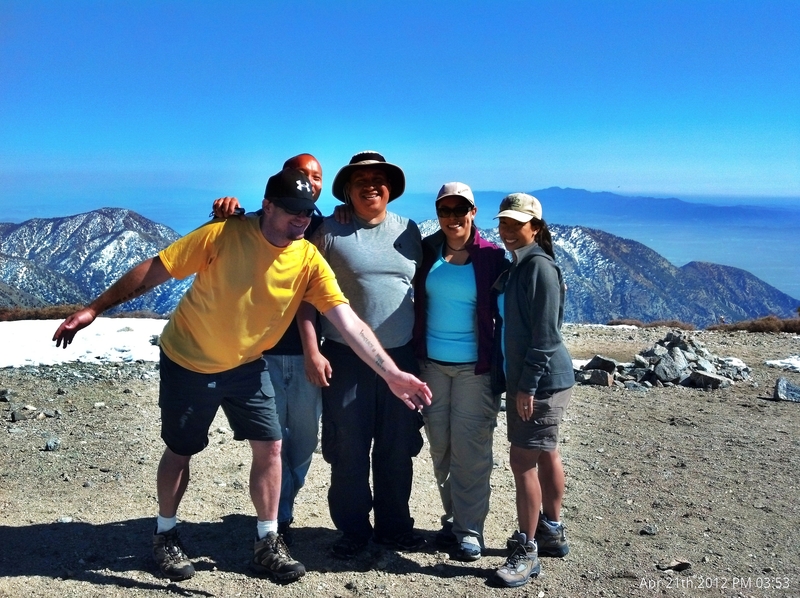 This past April our group decided to hike up to the summit of Mount Baldy (officially Mt. San Antonio). There are 4 ways to reach the peak. With Mt. 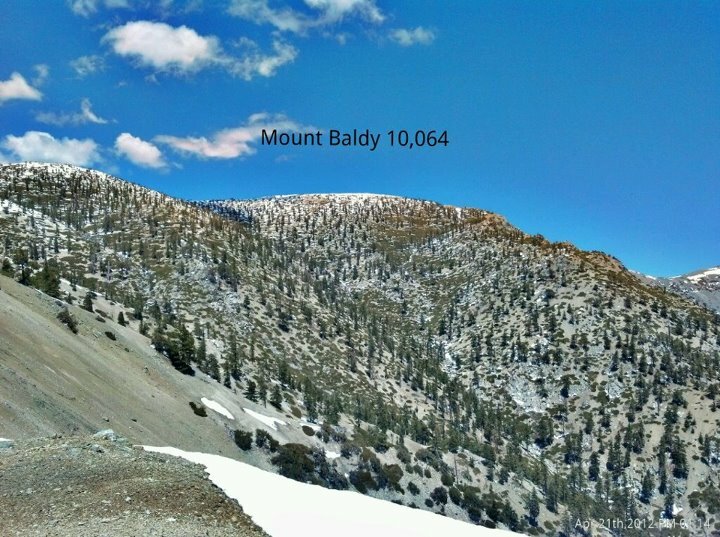 Whitney just a few months away, we decided to challenge ourselves and take the Old Baldy Trail which is 6.4 miles long and has a gain of about 5,800 ft making it a very challenging and difficult hike. 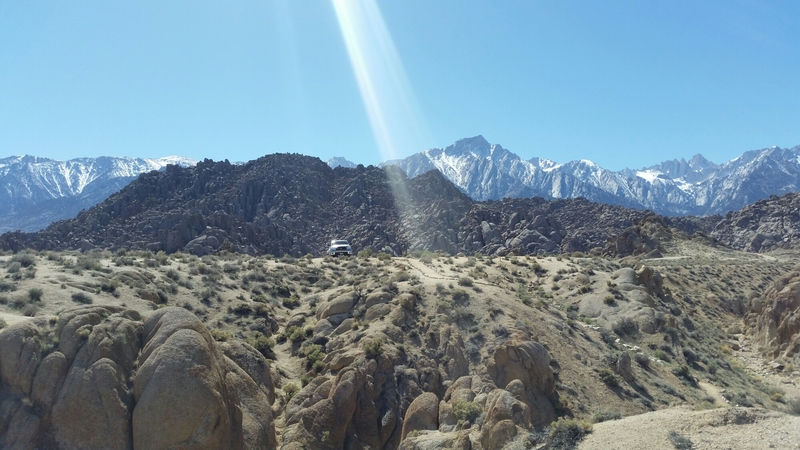 The parking lot for this hike is located right next to the Mt. Baldy Village Church. A forest adventure pass is required. After a quick bag check we started up Bear Canyon Rd for about .4 miles to the trailhead. 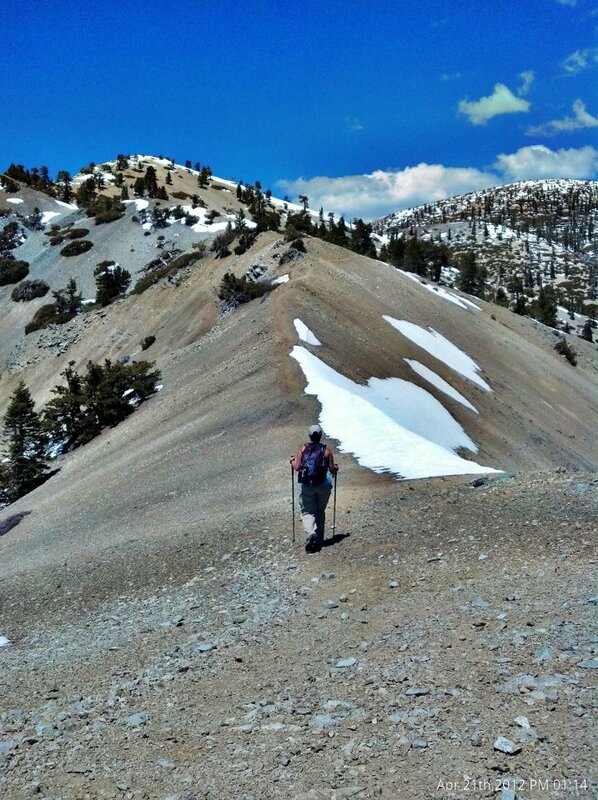 After enjoying the the sounds of the creek and sights of the cabins for .4 miles we left the paved road behind and continued on the dirt single-track trail that is Old Mt Baldy Trail. Our next destination was Bear Flat (1.8miles) here we regrouped and took a short break before continuing on for the remaining 4.6 miles. The rest of the hike has a gain of 900 feet per mile making it very difficult. 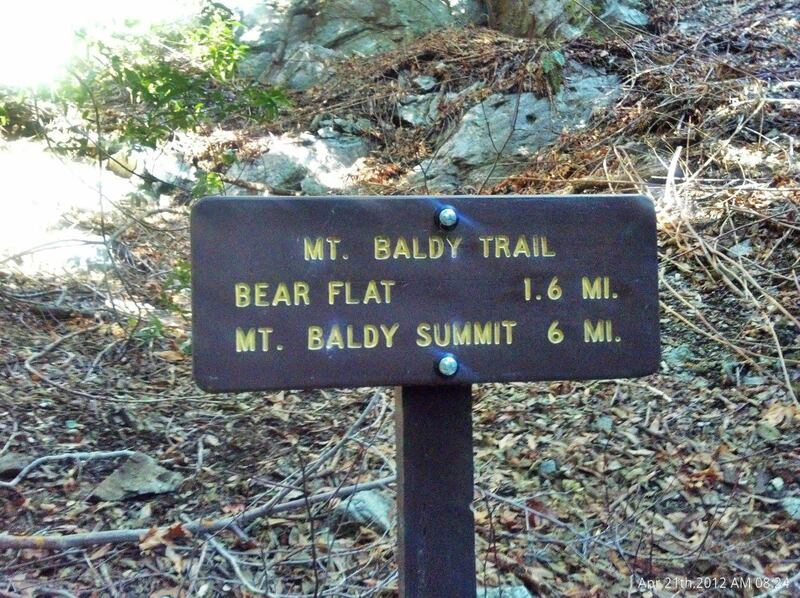 As soon as you leave Bear Flat you start to switchback up the south side of the mountain leaving you exposed to the sun , so bring a hat and pack on the sunblock! Views of Ontario Peak are all you can see from here. After about 2 miles we hit the end of the switchbacks and continued up the ridge. This is where SoCal began to reveal itself. getting higher and higher.. The Santa Ana Mountains are starting to reveal themselves! If you make it here.. Just keep on going as the hardest part is now over. My favorite part of this hike(other than reaching the peak) was when we I reached the Narrows Ridge This was an Amazing experience with awesome views! When we reached the top of the ridge my jaw dropped! Up until here we were on a dirt trail which was easy to follow and easy to walk on.. This was a first for me.. hiking in the snow.. it sounds nice in ones head but the fact of the matter is this stuff was slushy and knee deep in some places.. With Baldy in our sights we had no choice but to fuel up and keep on trekking! 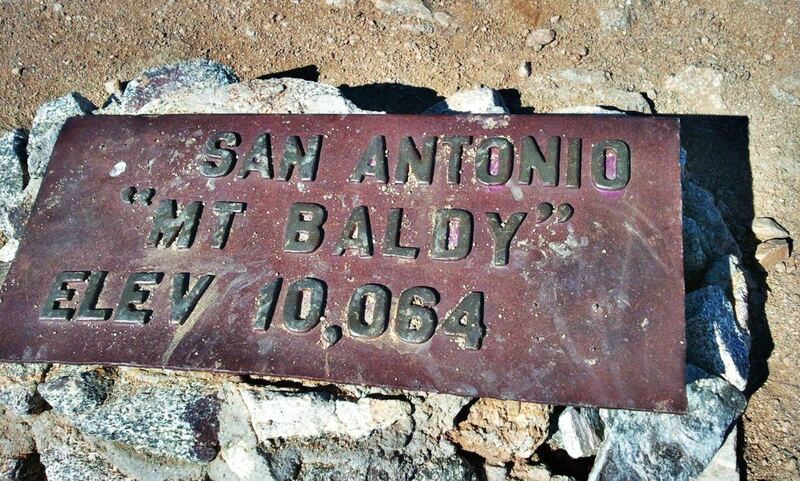 Once we hit the saddle between West Baldy and Baldy we had a choice to visit WB but we were just too drained, so we continued to the right and made the final push up to Baldy! 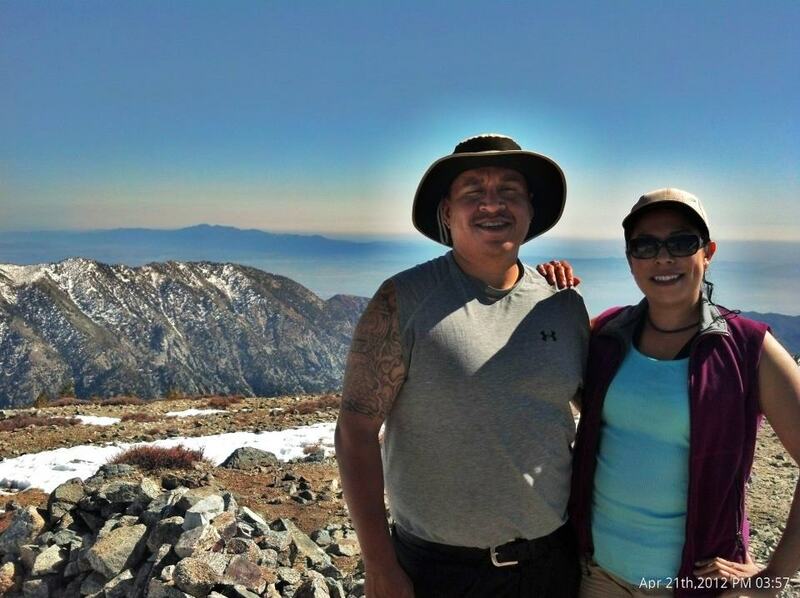 A missing 58 year old Irvine woman was found this morning in the Sierra National First. When she failed to return to her campsite last night she was reported missing.